Plaxico Burress is not leaving New York. He has signed a $3 million dollar contract with the New York Giants Jets. This surely spells the end for Braylon Edwards’ tenure as a New York Jet. Braylon was very good as a Jet; however, it is easy to see Burress being just as good on a cheaper contract. The Jets now still have cap space to re-sign Cromartie and to make any other additions Mike T. deems necessary. The Jets have a new number 17. 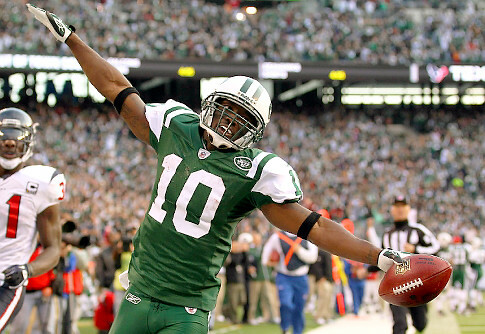 Santonio Holmes has re-signed with the Jets. The deal is reportedly worth 50 million, 24 million if which is guaranteed, over five years. This is the most guaranteed money ever given to a wide receiver in NFL History. The Jets got their first priority done. They needed to bring back Holmes. The guy is a big play maker, and he did wonders to help the Jets’ offense. Moreover, the Jets are now attempting to sign Nnamdi Asomugha. If the Jets succeed in signing Asomugha they will have signed possibly the best offensive free agent, Holmes, and the best defensive free agent, Asomugha. 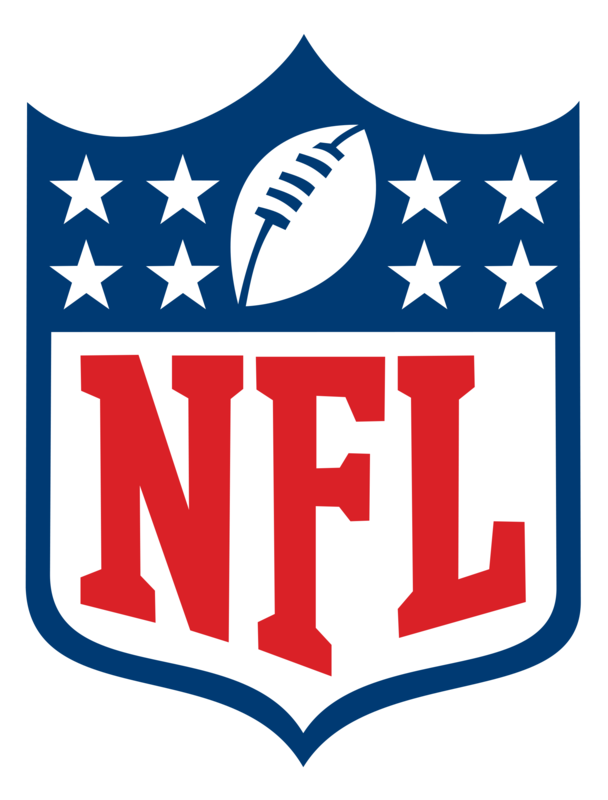 The NFL Lockout is over. The players and owners have agreed to a new Collective Bargaining Agreement. The 2011 football season is saved! Jon Heyman tweeted just moments ago that the Mets have traded Francisco Rodriguez to the Brewers. 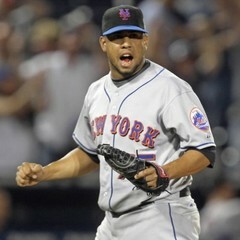 The Mets were known to be interested in moving Rodriguez in part because of his 2012 vesting option worth 17.5 million. The option vests if Rodriguez finishes 55 games. Update: MLB Trade Rumors is reporting that the Brewers and Mets have both confirmed the deal. The Mets will receive two players to be named later in exchange for K-Rod and cash. The Major League Baseball trading deadline is roughly a month away, and we all know the Yankees would love to add another arm to their rotation for the stretch run. The Yankees currently sit atop the AL East with a record of 46 wins and 31 losses. They are 1.5 games above the second place Red Sox and 3.0 games above the third place Tampa Bay Rays. Surly the Yanks would love to widen their lead over their division rivals. Pros: Kuroda has had a stellar career since coming over from Japan for the 2008 season, and this year has been no different. Kuroda has a 3.10 ERA in over 100 innings for the struggling Dodgers; moreover, he has only walked 2.17 batters per nine innings. Kuroda would fit perfectly behind Sabathia as the team’s number 2 starter. Cons: Kuroda has a full no-trade clause, and he seems to be quite comfortable with the Dodgers despite their struggles. Pros: Buehrle has been a consistent pitcher throughout his career. Buehrle has a 3.87 ERA in roughly 100 innings in 2011, which is a solid line. Like Kuroda, Buerhle does not walk batters. He has walked just 2.09 per nine innings this year. Cons: Buerhle has a limited no-trade clause; furthermore, Buerhle’s 2012 option, which is worth 15 million, automatically vests if he is traded. It is also possible that the Yankees may be able to find a cheaper option, who can pitch just as effectivly. Pros: Liriano has shown ace like stuff throughout his career. For his career, he has struck out 9.10 batters per nine innings. His stuff is just plain filthy. Cons: Despite throwing a no-hitter earlier this year, Liriano has struggled this year. He has a 4.98 ERA this year 72.1 innings pitched; however, his 4.22 FIP may suggest he has been better than his ERA indicates. Pros: Zambrano has shown flashes of brilliance throughout his career. He is a guy who can dominate opposing lineups. So far this year he has a 4.38 ERA and a 3.83 FIP in 111 innings pitched. I believe that a change of scenery could do Zambrano well. I think that if Zambrano is traded to the Yankees, he will react well to being thrown in the midst of a pennant race. Cons: Zmbrano is a head case. He has the potential to destroy the chemistry in any clubhouse. He has fought with managers and battery mates alike. He is also due 18 million dollars in 2012. Although the Yanks can afford that price tag, it could prove costly if it doesn’t work out for the Big Z in New York. Pros: Rodriguez has been very good the last few seasons. So far this year he has a 3.21 ERA in 84 innings pitched. He could slot nicely in the Yankees rotation. He is also signed through 2013 which gives the Yankees a possible long-term solution in the rotation. Cons: Rodriguez has been a victim of the long ball this year. He has given up 11 homers in 13 starts. Those numbers would surely increase if he pitched half of his games at Yankee Stadium. With the 27th pick of the 2011 NBA Draft, the New Jersey Nets selected JaJuan Johnson, but the Nets quickly dealt him to the Boston Celtics along with a future 2nd round pick for Marshon Brooks, who was selected by Boston with the 25th overall pick. Brooks’s playing style is often compared to that of Kobe Bryant’s. He was the second leading scorer in all of the NCAA last season. This was a great move by the Nets to trade for Brooks. UPDATE: In the second round, the Nets took Maryland’s C Jordan Williams with the #36 pick and acquired the #31 pick, which they used to select SG/SF Bojan Bogdanovic. Both players have very high ceilings. Either one could have been a top-15 pick according to some experts. When I initially saw this I thought it would be just a day-to-day type of injury; however, it’s more than a month later and Davis is yet to return to baseball activities. What’s worse is the news that GM Sandy Alderson delivered to the media prior to last night’s game. Sandy said that Davis’s injury isn’t healing. If Davis’s injury doesn’t heal in the next three or so weeks, Davis may have to undergo microfracture surgery, which would end his season, to correct the problem. The Mets need Davis in the lineup sooner rather than later if they plan on sticking around in the wild card hunt, but they need to be careful with their young first baseman. Hopefully Davis’s ankle feels better in a few weeks so he can begin his rehabilitation assignment. New York Sports Today is a site dedicated to bringing you unprecedented coverage of all news, rumors, and analysis concerning the Yankees, Mets, Giants, Jets, Knicks, Nets, Rangers, Islanders, and Devils.